The residential real estate market in the entire Kolkata city is booming. 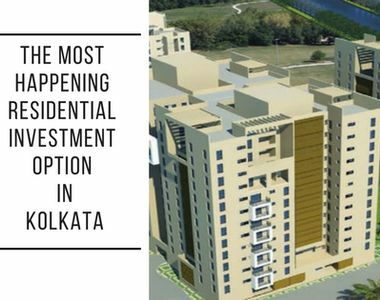 Rajarhat Kolkata has become a realty hotspot well-connected to the city and offering affordable housing options to the investors and homebuyers. The area is emerging as the high-growth destinations and offering good options for mid-range and entry-level buyers. Several luxury apartments’ projects are planned at this location by the top builders offering spacious homes equipped with all the ultra-modern amenities. The area is seamlessly connected to other major landmarks in and around the city and thus marked as the most prime locations to invest. If you are fond of green living and looking for an investment option at this location, then you should have a look at Shrachi Greenwood Nest. Nature itself offers homes for all the creatures in this world as per their needs and living environment and inspires by this aspect of the natural world, the homes at Greenwood Nest are designed. The project offers the beautiful mix of 2, 2.5 and 3 BHK luxury apartments at really affordable prices. This vibrant enclave draws its inspiration from nature and offering a total of 192 apartments designed in B+G+12 floors format. The possession of these homes is expected to be ready in the 4th quarter of the year 2018. The garden facing apartments at Shrachi Greenwood Nest will enjoy the spectacular views of the landscaped gardens and greenery. 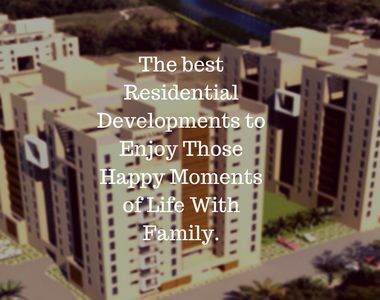 You will enjoy a luxurious yet cozy lifestyle amidst nature at this complex. Watching spectacular views of the green surroundings from the balconies is a blissful experience that will take away all your tensions. The development is also having a water filtration plant and located in the pollution-free environment. The luxury amenities at the complex include separate kids’ playing area to give your kids a safe and beautiful environment. There is a spacious community hall to celebrate some special occasions with family and friends. The exclusive clubhouse at the complex is also offering you countless ways to unwind and relax after a long hectic day or to spend some quality time with family. With its thoughtful planning and abundance of greenery, Shrachi Greenwood Nest Rajarhat Kolkata is going to be a new most sought-after property at this location. The project location is prime and comes in close vicinity to a number of landmarks in and around the city. Several reputed schools, colleges, medical facilities and daily conveniences are easily accessible from the project location and making it a premium investment option. The development is priced thoughtfully and fits easily within your budget. Multiple payment options and home loan facilities are also available to make your purchase easier yet comfortable. So, if you really wish to make an investment to buy a home of your dream, have a look at this property and live your dreams at the fullest.